The Greenline Conversations course teaches the learner about relationships and conversations in the workplace. It focuses on how to have effective conversations which achieve shared goals, and avoid having time-wasting conversations which are not productive. To provide this understanding the Greenline course uses coaching techniques and psychological research via audio, video, illustrations and knowledge-reinforcement tests to provide a genuinely interesting and useful piece of high-level learning. The course has been in development for 5 years and has been adapted from a traditional classroom environment. It is a tried and tested piece of extremely effective learning. 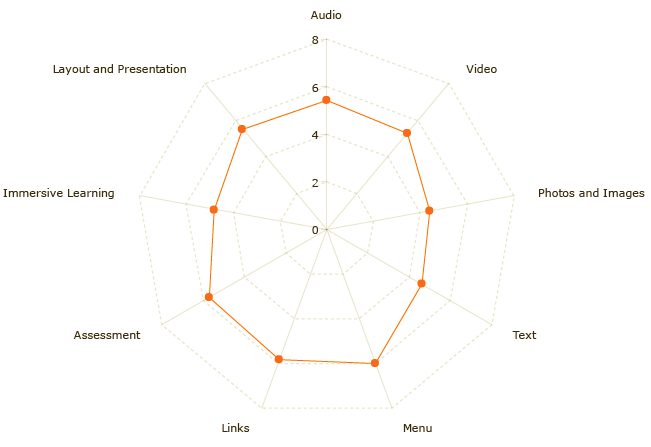 To begin an e-LCET review we look at the genres which make up an elearning course. 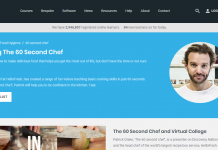 This helps to provide users with an understanding of how the course will be presented, and if it will be effective for them. 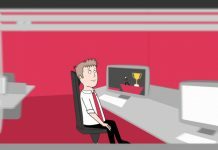 It also provides a useful way to judge the quality of course: if a course contains a lot of video and receives a high score for its video content, then this demonstrates that the course is good quality. 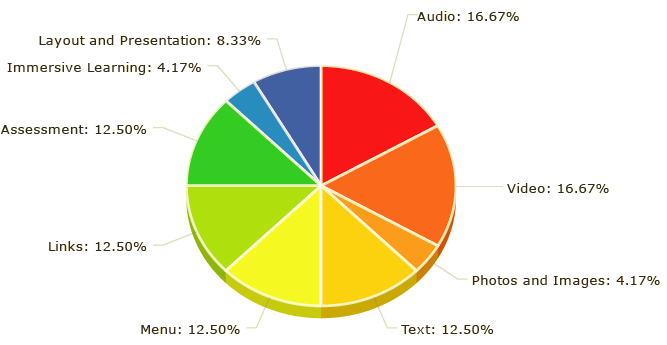 The pie chart represents the mix of genres used in the Greenlines Conversations course. The Greenline Conversations course focuses on audio and video, often using a presenter to convey information. As the information and terminology used in the course is complex, this is an effective method of presentation as it is clear and easy to understand. The course also uses testing, or knowledge checks, to great effect to reinforce the teaching presented in each module. There are 8 modules in total and a knowledge check follows each one. There are also application exercises for the learner to apply, and thereby reinforce, their learning by using it in their workplace. Once we have identified the genres used in an elearning course, stage two of the e-LCET process is to uses a series of detailed metrics to provide a score for each genre. The total scores out of 6 for each genre are shown above and, as you can see, the Greenline Conversations course scores highly in its principal genres of Audio, Video, Text, Assessment and Links. As these principal genres make up most of the Greenline course, and they each score highly, we know that the Greenline course is a quality piece of learning. The Greenline course scored so highly because it uses a variety of simple yet extremely effective presentation techniques. 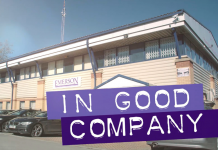 By using a video presenter with quality audio, complemented by illustrations and mini-games, each module conveys the learning involved successfully. The assessment and resources which supplement and reinforce this learning are also pedagogically sound, and this combination provides the Greenline course with excellent scores in the evaluation stage of the e-LCET review. We can also use a spidergram to provide a visual representation of the scores for the Greenline course. 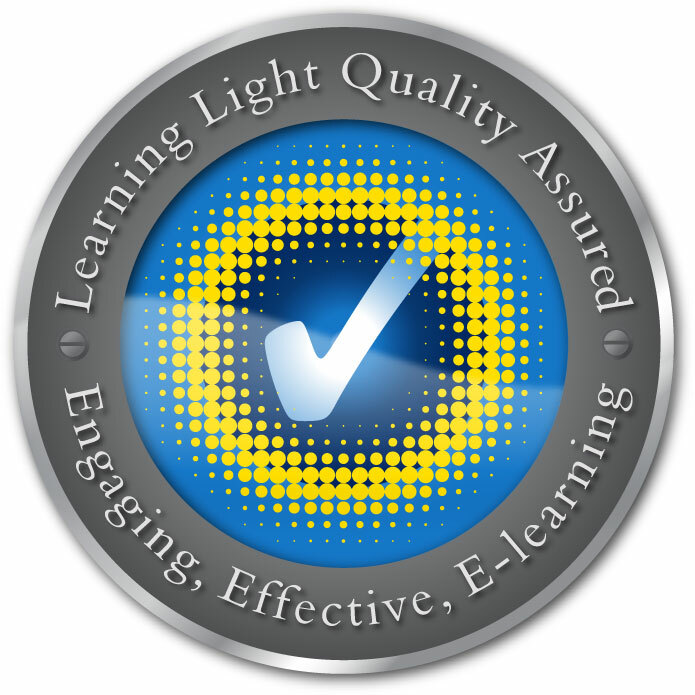 As the Greeline course is effective, engaging elearning we can give it the Learning Light seal of approval and our recommendation. 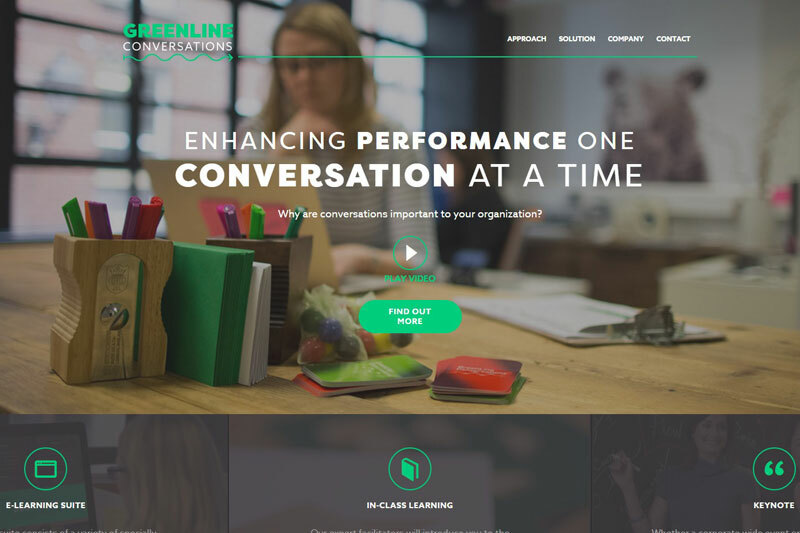 The Greenline Conversations course is available to buy from E-learning Centre.